In 2015, our Instagram feeds were covered with mouth-watering images of toast topped with mashed avocado. Avocado toast became a popular favourite in several restaurants, regardless of the time of day. Although the simplicity of mashed avocado, sea salt and lime juice spread on toast (gluten-free or not) is undoubtedly comforting, I expect that both restaurateurs and consumers are going to take it up a notch. 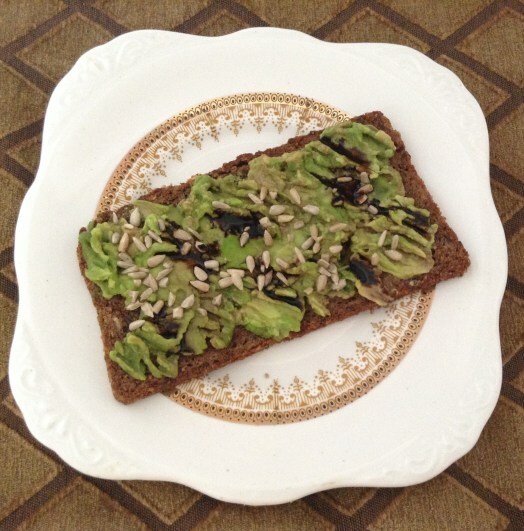 Think avocado toast topped with various seasonings, fresh herbs added in, superfoods like chia seeds and goji berries sprinkled over to pack in even more nutrition, and so much more. Long gone are the days where vegetarians only had cheese, carbohydrates and pitiful salads to choose from when eating out. With more people embracing veganism and acceptance that vegetarians can, in fact, eat enough protein, chefs are exercising more creativity in the kitchen with plant-based ingredients. Between bean-based Bolognese, broccoli tacos, edamame sushi rolls, the fun is just getting started. Whether you eat a low-carb diet or not, chances are you appreciate more creative uses of vegetables. Cauliflower pizza, cauliflower rice, kale chips and zucchini noodles (or "zoodles") were all the rage in 2015 and the future looks promising too. Cauliflower pancakes or beet spaghetti anyone? As increasing numbers of people reveal a lactose intolerance and discomfort from consuming dairy products, manufacturers are creating suitable alternatives. While non-dairy milks like soy, almond and hemp milk are freely available, I have a feeling that this list is only going to grow. Along with other nut-based milks like hazelnut and pistachio milk, there's nothing stopping manufacturers from experimenting with the likes of chickpea milk, quinoa milk and chia milk. Lost in history are the days where the only nutritious whole grain on the scene was brown rice. Given their solid nutrition content, we devoured ancient grains like quinoa, freekeh and farro in 2015. We won't be surprised if other nutrient-dense, ancient grains permeate the market in 2016 too, especially amaranth, kamut, millet and sorghum.